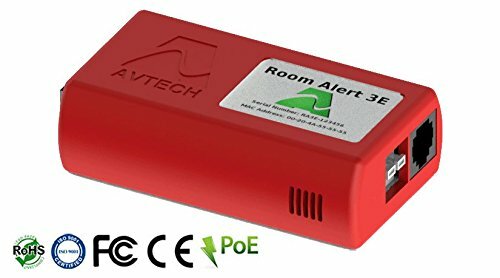 Room Alert 3E is AVTECH's most economical solution for "IT & Facilities Environment Monitoring, Alerting & More". 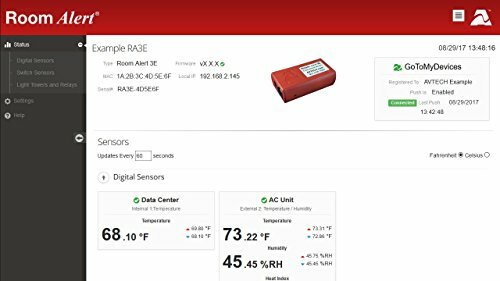 The Room Alert 3E temperature and environment monitor is designed specifically to assist with monitoring room temperature and other environment conditions (including humidity, flood, power, smoke, motion, and more) where a small footprint is needed, where access to electricity may not exist, when the investment cost needs to be minimal or deployment volume may be high. It is the least cost host for a Light Tower & Relay Adapter (LTA) that allows connection of an AVTECH Light Tower, Light Tower w/Audio or Relay Switch Sensor. 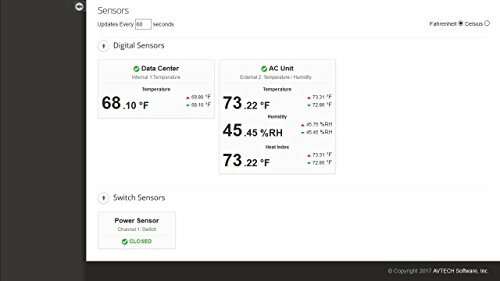 Add a digital sensor and switch sensor of your choice such as a Digital Humidity Sensor or Flood Sensor to expand monitoring with an easy "click connect". The Room Alert 3E temperature and environment monitor is is a PoE enabled device although if your network is not PoE, simply use the included power adapter and you are good to go. 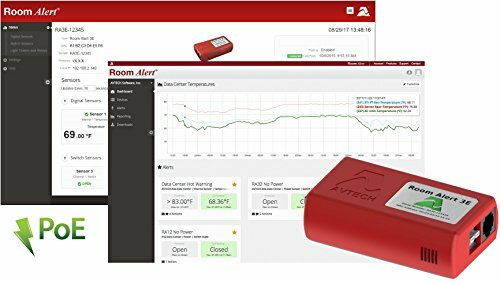 Room Alert can be monitored and managed through AVTECH's online Room Alert Account dashboard, included Device ManageR software, built-in web server interface, or any other SNMP-enabled monitoring platform. 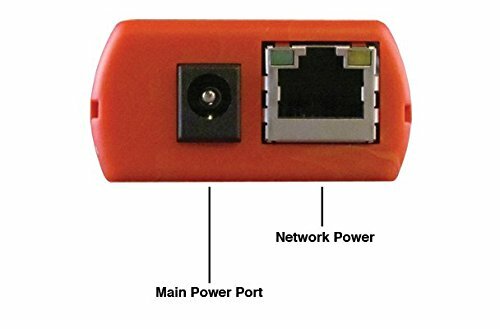 Easy Ethernet 'Plug & Play' setup for immediate IT & facilities physical environment monitoring. Includes built-in sensor for digital temperature, Device ManageR software & "PUSH" technology. 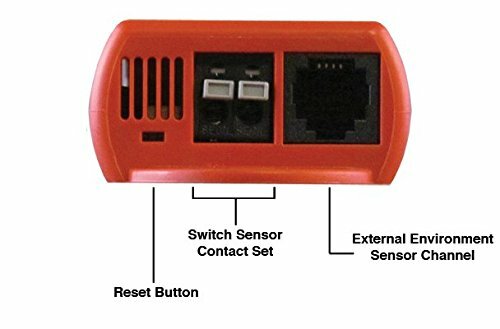 Includes ports for 1 digital sensor or Light Tower & Relay Adapter & 1 switch sensor or dry contact. Offers advanced alerting by email, email-to-SMS, SNMP, webpage update and more. If you have any questions about this product by Room Alert, contact us by completing and submitting the form below. If you are looking for a specif part number, please include it with your message.